We’d love your help. Let us know what’s wrong with this preview of Let's Play! by Hervé Tullet. A brilliant new companion book from the creator of PRESS HERE and MIX IT UP! It's only a yellow dot...but what a dot it is! Readers won't be able to resist this jaunty, adventurous dot, nor its invitation to play along. Thus begins a spectacular ride of color, motion, shape, and imagination, filled with the artistry and delight that we know and love so well from Press Here A brilliant new companion book from the creator of PRESS HERE and MIX IT UP! To ask other readers questions about Let's Play!, please sign up. Be the first to ask a question about Let's Play! loved, but it's no PRESS HERE. I love Tullet. His books are creative and colorful and fun to share. They stimulate the imagination and you can use them as the inspiration for an art project and to introduce descriptive language. For very little ones you can use it for hand-eye coordination as your child follows the lines with their finger --even if you need to assist a chubby little hand. The story is about a large yellow dot that is bored. Tullet's concept is to draw the child in and involve them in the story. Press the top corner to get me started. Make sure you stick to the line. They lead to the next page. You can't make a sound... OK? There's are colors to name. Numbers to count, and even a hide and seek. Adult readers can emphasize concepts like left/right, top/bottom, stop/go, curves, straight lines and much more. Tullet's books are like a mini-classroom opportunity, which is why I adore him. Entertainment, learning and stimulation of mind and hand. ~I don't give star ratings to ARCs. It seems better that way. Better than Press Here if that's even possible. The yellow dot is bored, and it knows just what to do to fix that little issue: play! This is an interactive book suited to toddler and preschool aged children. You are asked to press and follow the dot as it runs, spins, jumps and hides. Simple illustrations and fun text make this a great read aloud for small children. 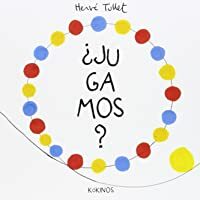 I thought Tullet would have run out of ideas with these interactive books—certainly his imitators haven't come up with much that's fresh—but this was another unique way to get my kids to play with the book. Calvin, in fact, gives it 100 stars! What a fun little book. A little above my 2 year olds head but some of it is easily adaptable to his age and comprehension. We had a lot of fun with it last night! I'll be sad to return it to the library. Love Herve Tullet and his books that start a conversation with kids and get them thinking about how we can use the material book in imaginative ways that sometimes bound right off the page. My daughter loved this book today at our local library. Brief description: Yellow dot wants to play! This interactive book will make you want to play too, on this finger tracing adventure. Identify at least 2 characteristics of this genre and subgenre and discuss how they appear in your book: Picture books use text and pictures to create a story, lets play takes this even further and includes reader interaction into the mix. It has the reader preform different tasks such as press here. Then when you change the page you see the effect of your efforts.The book limits the colors to the primary colors and black and white. The primary colors in this book help younger children keep focus as they follow along. In what ways and how well does the book as a whole serve its intended audience? Young children are going to love to interact with this story. It would also make an excellent read aloud to younger kids. This book takes you on a journey with a yellow dot and black line. Each page is something unique and you travel to different places. 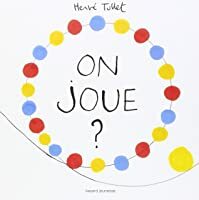 It's another interactive book by Herve Tullet with lots of color. This was another enjoyable book by Herve Tullet that engaged me and kept me on my toes because I didn't know what was going to happen next. It's different from his other books because in this one I followed the yellow dot on a journey to different places. It's a must read if you have younger children. This book takes you on a journey with a yellow dot and black line. Each page is something unique and you travel to different places. 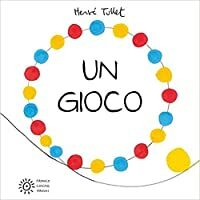 It's another interactive book by Herve Tullet with lots of color. This was another enjoyable book by Herve Tullet that engaged me and kept me on my toes because I didn't know what was going to happen next. It's different from his other books because in this one I followed the yellow dot on a journey to different places. It's a must read if you have younger children. You can use this text as a mentor text by having the students create a story replicating the authors style. Allow the students to use their imagination to where they can create a magical piece just like Herve Tullet. This book invites you to play along while reading. You just follow the yellow dot and have fun. Just slide your finger across the line. As a children's librarian, this is not a book I would recommend for group storytime, only because you might have fifty thousand kids striving to touch the book. It is more appropriate for one-to-one reading time with a child and their parent. I feel like this book is actually more appealing to adults. This is a book I have put on display within my children's section and they neglect to ever pick up. Herve Tullet's books are always a hoot and a hit for me. 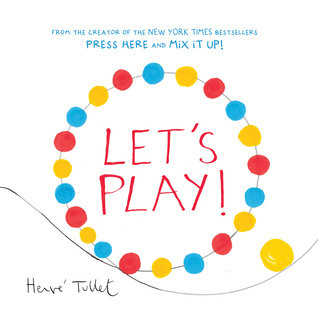 While "Press Here" is my favorite, "Let's Play" is another great book from this artistic author. 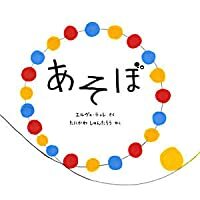 Kids can interact with with book in a way that is totally unique, press and button and on the next page they've made all the dots turn blue, spin in a circle and they've made black swirly circles appear on the page. Just be careful, because this is a book kids will want to read over and over again! I like the idea of Tullet’s work but this one just felt a little long and didn’t diverge from the same formula as Press Here. I’m sure this is good for his target audience of children who want to physically interact with books, but from a creative standpoint I didn’t feel like it was much more than a repetitious sequel of sorts. We read 'Say Zoop' and 'Lets Play' several times in a week. Miss 4 thinks they are wonderful fun! This is a fun, participatory read like Press Here, but I feel it lends itself better to one on one reading child with adult rather than a group read. Still a very clever book which invites children to be part of the story. This would be a great book for very young readers, especially since it is very interactive. As you move your fingers across the pages the dot moves and changes with you. One of Jonah's favorites! One he will open up and read to himself. This is an excellent choice for early reading interactions. It is brightly colored and each page has a different pointing or tracing task to keep little ones engaged and practicing motor skills. This one felt like he was trying to recapture the magic of Press Here, and the almost-magic of Mix It Up, and he just didn’t quite succeed. The kiddo liked it, though. One of 4 year old’s favorites! Terrific new book by Tullet. This time the colors explore everything they (and the reader) can do. Still a fun book and kept my kindergarteners’ attention but not as magical as the original Press Here. Kids didn't get into it like don't press the button. Another fun book for children playing with their imagination. If I hadn't been at work, I'd have shouted ZA ZA ZAZOOMMMM!